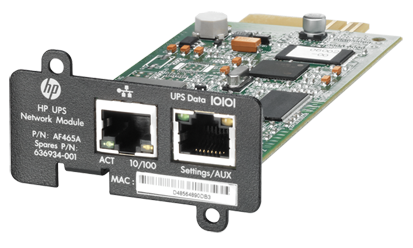 I installed one of these a couple of weeks ago, and there’s some good documentation with the module itself so installing it into the UPS and giving it an IP address was easy, getting the right client software to talk to it was a pain. 1. 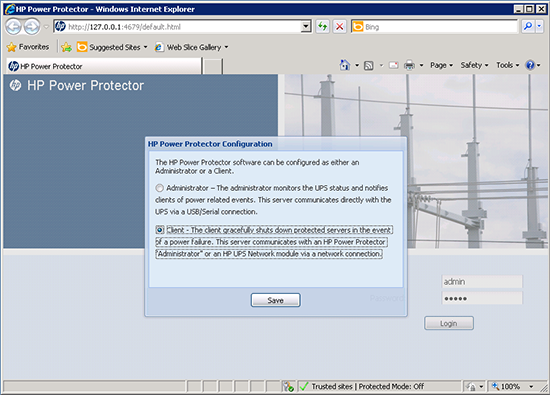 Physically install the module in the UPS, it’s fixed with two screws and you can install it with the UPS powered on. 2. It takes a while for the card to boot, pop in the console cable that came with it (into the Settings/AUX socket – see above). Fire up PuTTy and connect via serial. 4. 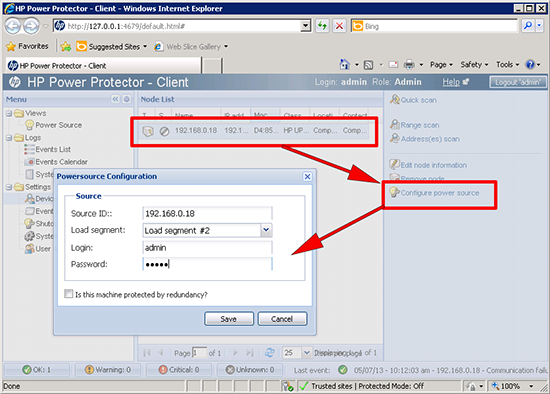 Use the menus presented to change the IP details, you MUST restart the module when you are finished or the IP address WONT change. 5. 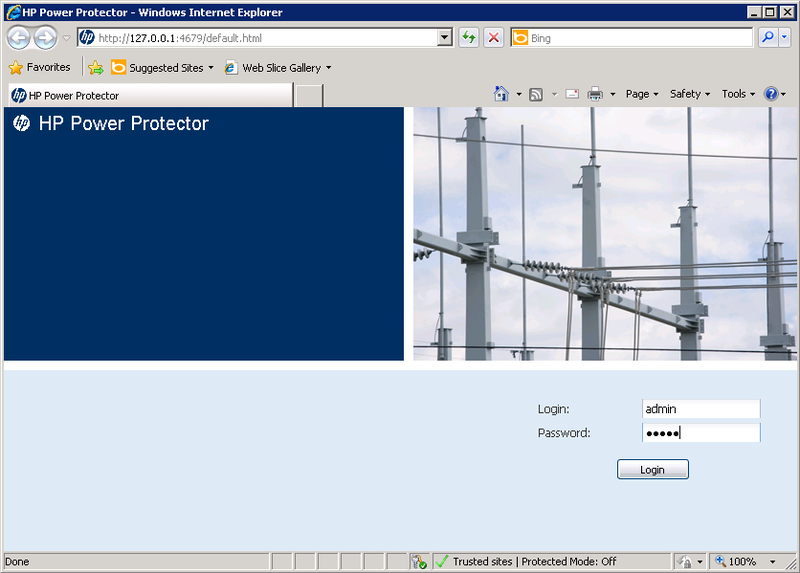 Once its rebooted (again this takes a while) you can login with a web browser, (username admin password admin). 1. 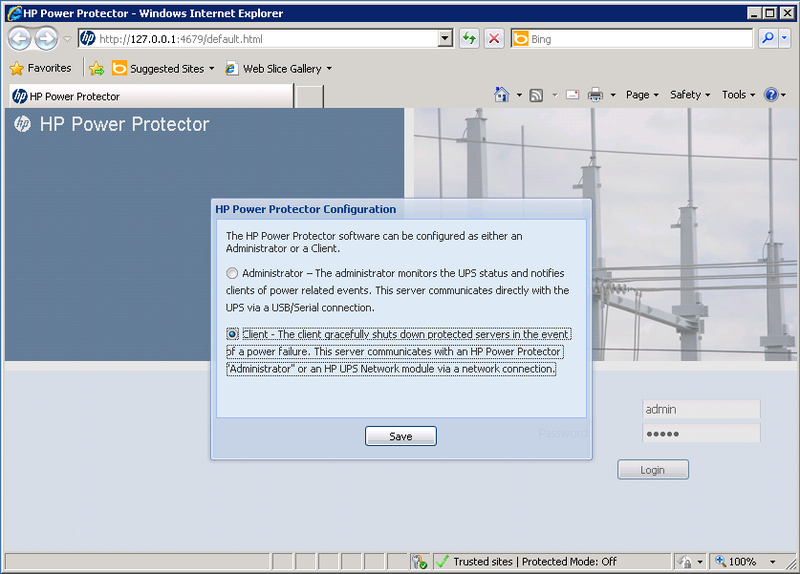 Download HP Power Protector, (Note: there is no client and administrator software any more, this software will do BOTH. The network module has the administration software built in). 2. 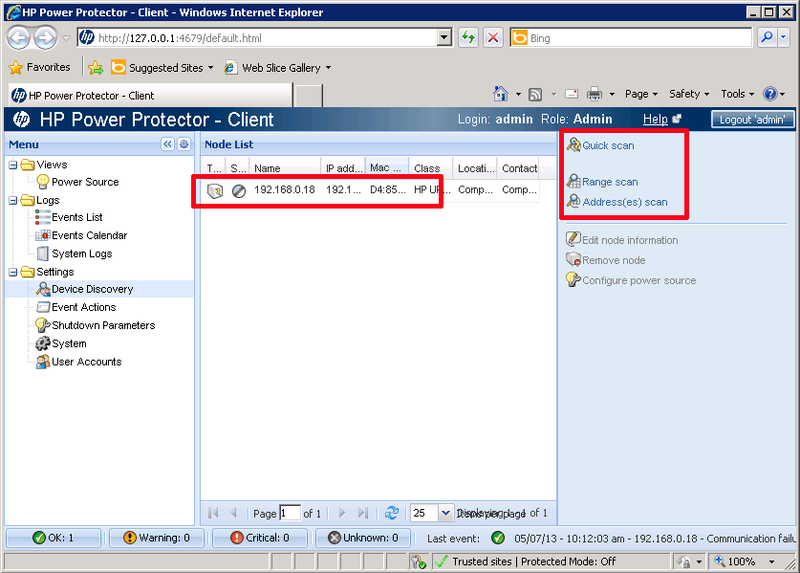 Install the software on your machine, and login (again username admin password admin). 3. 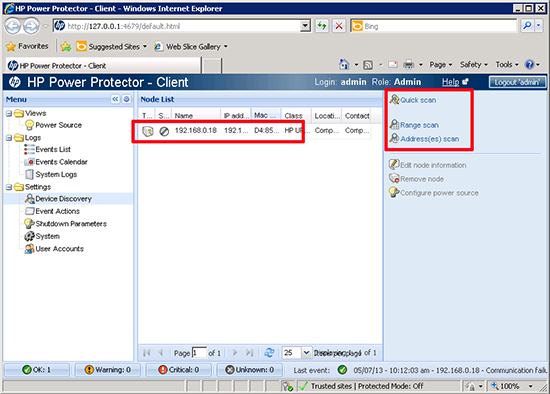 Select client > Save. 4. 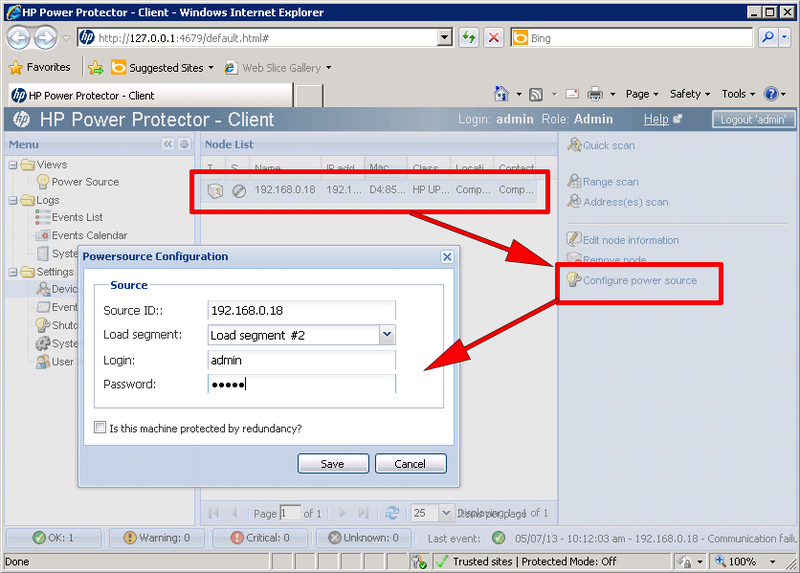 Select the Device Discovery tab. The software usually detects the network module on its own quite quickly, if it does not you can use the options on right to do a scan. 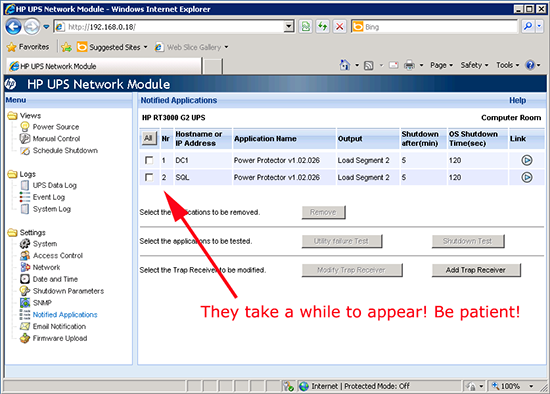 If you are connecting through a firewall (or you machine has a software firewall), make sure the following six ports are open. 5. 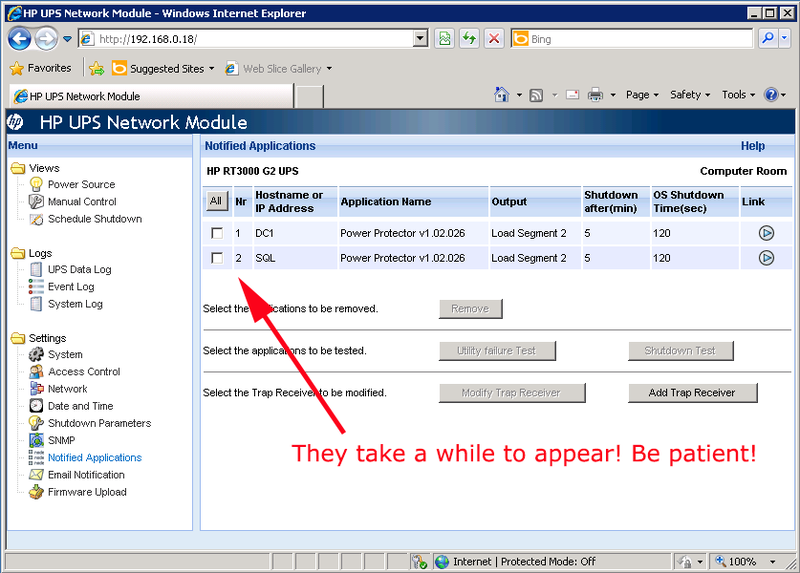 When it’s fully detected, select the network module and select ‘Configure power source’, supply the login credentials for the network module, and the load segment the machine is plugged into (see below) > Save. 6. Back in the web console of the network module > Open ‘Notified Applications’ and in about 5-10 minutes your server should appear.